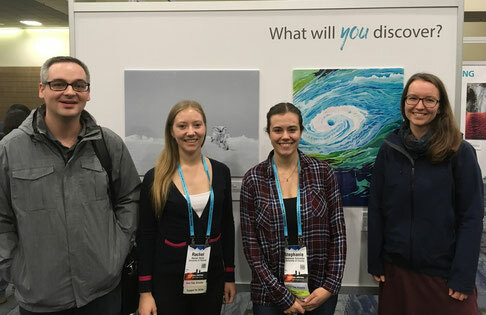 Elijah, Steph, Megan, and Rachel traveled to New Orleans for the AGU 2017 meeting from December 11-15. They presented their research in the following poster sessions: Transformations and Fate of Organic Gases and Particles in the Atmosphere, Laboratory Studies in Atmospheric Sciences, Tropospheric Composition in Cold Environments: Sources, Processes, and Impacts, and Reactivity and Cycling of Organic and Inorganic Compounds in the Atmospheric Multiphase System. 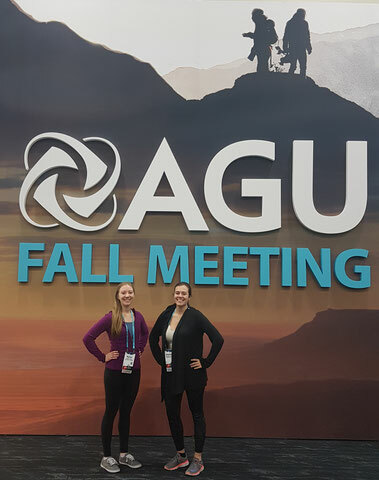 It was Steph's, Rachel's, and Elijah's first time going to an AGU conference and they had a great week! Megan, a veteran AGU attendee, also had a great time!